The FC Pune City is quite determined to make things better for the next season. As per reports, there are talks about retaining the former Chelsea player Adrian Mutu. The Romanian footballer was the marquee for the last season of the FC Pune City and it is still not very clear if he would continue being the marquee even in this season. Mutu had signed for ASA Targu Mures in the month of January on the basis of free transfer. The Romanian player who is known as a forward is quite keen to return to India as he earned a handsome salary in the last season as per sources. 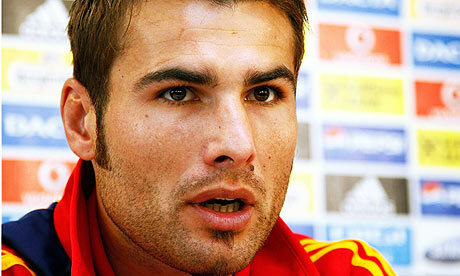 Adrian Mutu had made 10 appearances with 4 goals in the last season. Although his performance was good, he could not help his team to get qualified for the playoffs. The FC Pune management has taken a decision to put their faith in this player once again. They want to retain Mutu as the management feels that it would be the best way to initiate things. This is one of the latest rumors which have made a buzz. Also, the question is whether the FC Pune wants younger players from overseas to be more powerful to perform in the next season. In addition, there are talks about the former Romanian international being offered a role of a coach and also there may be a chance that he could have limited role to play on the pitch. As per the earlier reports, the FC Pune city was close to an agreement on a deal for Apoula Edel and they have also signed Arata Izumi, Sanju Pradhan and Augustine Fernandes. The FC Pune City is trying its best to make things better for the next season and hence trying to finalize the signings as quickly as they can. This entry was posted on Friday, May 20th, 2016 at 9:54 am	and is filed under Adrian Mutu. You can follow any responses to this entry through the RSS 2.0 feed. Both comments and pings are currently closed.